Enjoy Utah! : Gale Center Terrific Tuesdays - FREE! 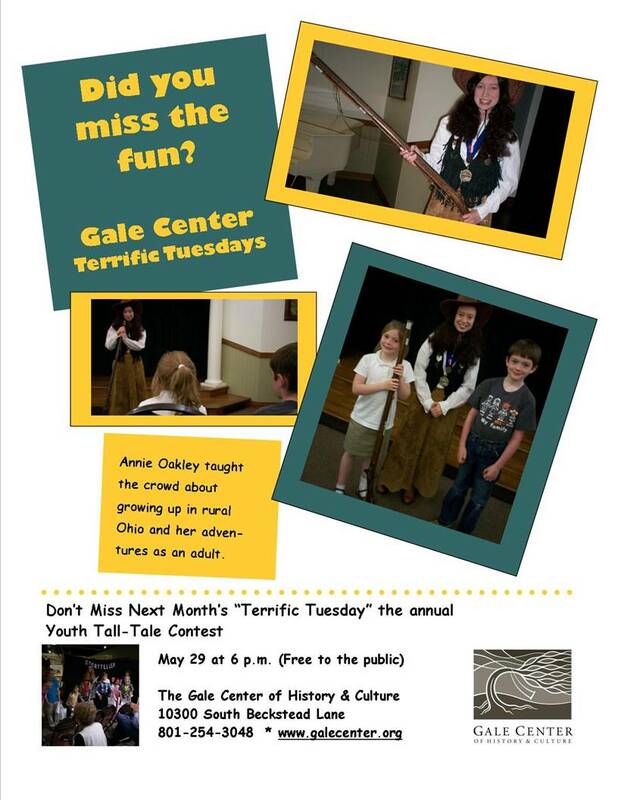 Gale Center Terrific Tuesdays - FREE! The Gale Center is located in South Jordan, and is free to the public.